Acupuncture is a technique used in Traditional Chinese Medicine (TCM) in much the same way as surgery and medication are both methods used in western medicine. TCM provides a positive model of good health and views pain and illness as signs that the body is out of balance. Working with the body’s energy systems, acupuncture can help to restore your body’s normal functions, to re-establish equilibrium and help you to operate at your very best. Acupuncture treatment helps to connect all the interdependent aspects of your life – physical, emotional and mental – and offers a holistic approach to treating all aspects as one, rather than as individual elements. With each of your body’s systems seen in relation to each other, this holistic approach can have a profound and significant effect on your body, as well as your mood and state of relaxation. You are unique and, as such, your treatment needs to be unique too. One of the fundamental principles of Traditional Chinese Medicine (TCM) is to treat each patient individually, and this is at the heart of our practice at The Jade Centre. Working together with you we aim to gain a full understanding of how your body is functioning so we can select the right course of treatment for you and offer a treatment that encourages your body to rebalance itself. The first consultation is different for each person. It usually begins with a few questions about your health and any condition you may have. You may find some of these questions rather different from the usual questions a doctor may ask, such as how much liquid you drink, what your tongue looks like, or what your eating habits are. Your clear answers to these questions are important for us to be able to understand the way your body is functioning. We will then be able to put together your individual treatment plan. Most patients compare the experience of having acupuncture to that of having a massage or other treatment that relaxes your whole body, leaving you feeling refreshed and invigorated. People trying acupuncture for the first time are typically surprised by the fact that it doesn’t hurt and is nothing at all like having an injection. Instead, you will feel a variety of pleasant sensations, such as slight tingling or a mild feeling of heaviness. The sensations show you that it is working and can be enjoyed in the knowledge that you are getting the best results. 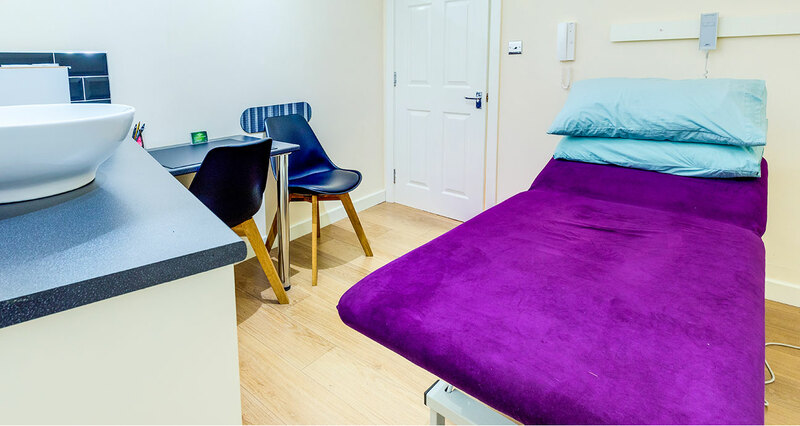 Our patients regularly tell us they find the process energising or immensely relaxing – during treatment they often feel a sense of bliss and can even fall asleep due to the intense feelings of calm! Your well-being and safety is our highest priority. Only disposable pre-sterilised single-use acupuncture needles are used in our clinic. The number of sessions needed varies hugely depending on you and your condition. Acute conditions may only need a few sessions. For more long-standing chronic conditions you may need to have one or two weekly sessions for a few weeks, months or until your symptoms have subsided. Many people choose to have regular sessions once every 4 to 6 weeks to maintain their good health and wellbeing, and we support this to help you to keep enjoying life to the full.